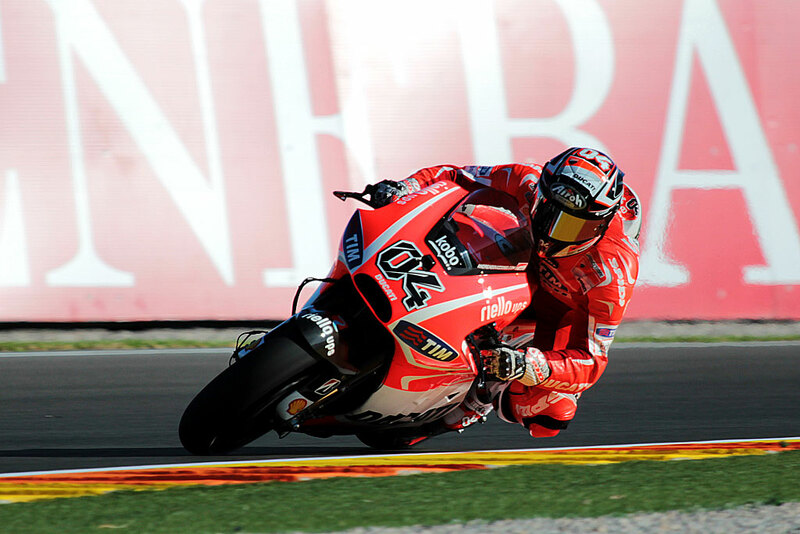 Fourth place for Andrea Dovizioso in FP3 gave the Italian a lot of hope that he could have a strong race this weekend. Dovizioso has been consistently fast on the soft tyre but after the session he stressed that the speed and consistency that he has shown on the harder tyre, the same tyre that the majority of the field will race on Sunday, is the most encouraging thing for him. When asked by Crash.net about the level of fuel that he expects to start the race with Dovizioso said that a decision had not been made but that he expects to run with race fuel in FP4 to get an understanding of what to expect on the opening lap. Dovizioso also commented that while Ducati is allowed to run with 24 litres of fuel the fuel tank is not large enough for such a capacity with 22-23 litres the maximum.